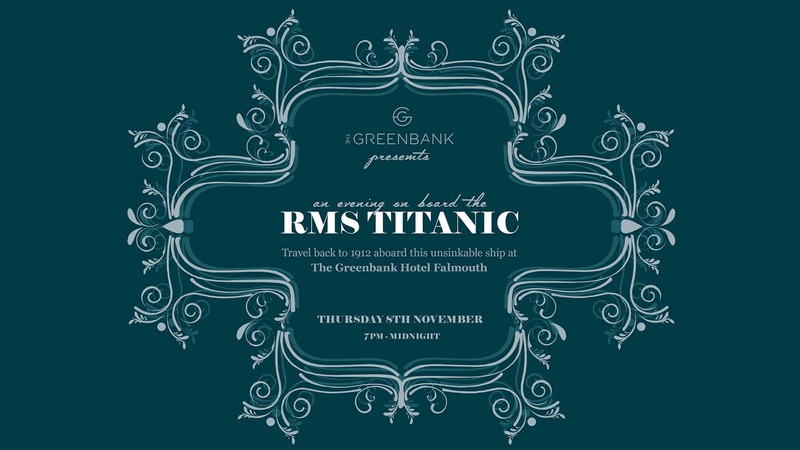 Immerse yourself in a world of Edwardian elegance and step aboard the RMS Titanic for an evening of fine dining, fizz and foot-stomping fun. Enter the grand Water’s Edge cocktail bar in your finest attire for a glass of bubbles whilst our string quartet music plays, before taking your seats for a three course meal inspired by the era. Whilst dining, meet Thomas Andrews Jr, the Titanic’s naval architect and discuss the latest fashions with ‘The Unsinkable’ Molly Brown. Hear tales about life on board by notable characters who will be joining us for the evening. After your meal inspired by the menu served on 14th April 1912, finish with ferocious foot-stomping in the lower decks to local ‘fiddle and phat bass’ folk band Jonah’s Lift. Our special evening on the Titanic will take place on Thursday 8th November from 7pm until midnight. Held in our two AA rosette-worthy Water’s Edge bar and restaurant, your ticket will include a glass of fizz on arrival, a three course meal and cheese table, followed by energetic and engaging music entertainment from Jonah’s Lift. Dance the night away just like Jack Dawson and Rose DeWitt Bukater! 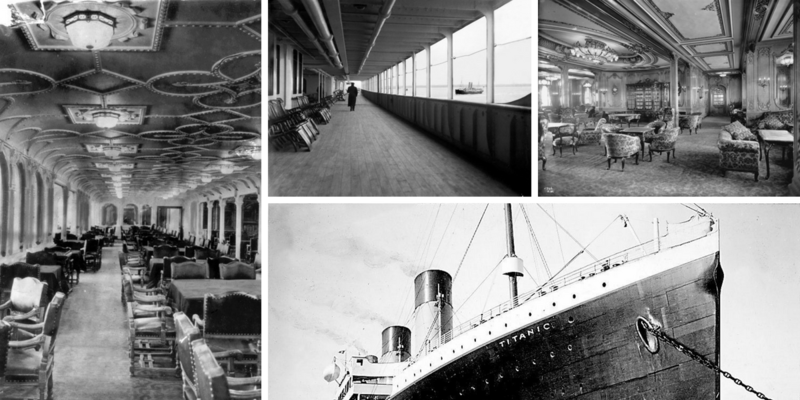 Click here to see our inspired Titanic menu. Each guest will receive a boarding pass on arrival, with personalised character details to portray on the night. Dress code is smart casual, with an emphasis on Edwardian class (optional). General tickets for the evening are priced at £58 per person. Overnight stays including breakfast are from £90 for two people for an inland room or £110 for a harbour room. Book by calling 01326 312440. Your Titanic ticket will need to be purchased separately on Eventbrite by clicking here. Our immersive dinner and dance event is inspired by TITANIC STORIES at The National Maritime Museum Cornwall. This exhibition is just a short 15 minute walk from The Greenbank Hotel. It examines the stories of the Titanic’s momentous sinking on 15 April 1912, re-appraising many of the myths, controversies and assumptions that still linger around one of the most well-known historic events of the 20th century. Working in collaboration with private collectors, TITANIC STORIES presents rare and never-seen-before objects. It retells the personal stories of many of the survivors, victims and descendants of the Titanic disaster, including those from Cornwall.